On June 8, 2014, the Israel National News published a follow-up article by Rabbi Eliezer Melamed entitled The Significance of Eating Meat, in answer to criticisms of his previous article on May 26, Vegetarianism for Moral Reasons. As I pointed out in my rebuttal on this blog, the first article was actually an attack on the entire vegetarian movement. As is the second article. Rabbi Melamed believes it is morally wrong to teach vegetarianism. In his latest article, he goes even further, linking the vegetarian movement with supporting terrorism. In his mind, being kind to animals leads to cruelty to people. In order to understand his basis for this bizarre claim, we must first take a foray into Jewish mysticism. In The Significance of Eating Meat, he opens with a long kabbalistic explanation of the concept of "raising holy sparks" through eating meat to effect a tikkun, or cosmic repair of the universe. This is pretty standard Jewish mystical thought, so I won't go into it here, except to say that he misses two crucial points: 1) the process is cumulative, not self-perpetuating, and 2) it is individualized, that is, each person is born to raise particular "sparks" and not others. This implies that, as more and more sparks are raised and the process nears completion, there will be fewer and fewer people assigned by "heaven" to raised sparks in meat. This may well account for the rise in vegetarianism in recent years. It may also account for the rampant cruelty in the meat industry. Could it be that there are no longer any holy sparks in meat, and what is left is only negative energy (klippot)? Rabbi Melamed would strongly disagree with this stance. He feels that it is still necessary for humans to eat meat ("extremely vital for man" in his words), in order to complete the tikkun. By preaching vegetarianism, he says, the activists are impeding the whole process of repairing the universe -- which puts them on the side of wickedness in his eyes. "Accordingly," he states, "at the present stage of time, individuals can conduct themselves with an additional measure of piety and not eat meat, but they must refrain from preaching vegetarianism, so as not to harm the primary effort of tikkun olam (repairing the universe.)" This is an argument I have heard before. So much so, that I posted a video on this topic on YouTube. (There is also a dialogue with me on "raising sparks" and vegetarianism in Professor Richard Schwartz's 2010 book, Who Stole My Religion? The entire interview can be downloaded for free at this link.) Ironically, this argument has the same sort of apocalyptic energy as the Christian fundamentalists who claim the Jews are impeding the "Second Coming" by refusing to convert to Christianity. It's pretty hard to reason with somebody who thinks you are out to destroy the universe. Who is qualified to say what is cruel? "Indeed, if it becomes clear that in a certain place, animals are treated with immense cruelty, it is proper to instruct people not to purchase the meat. 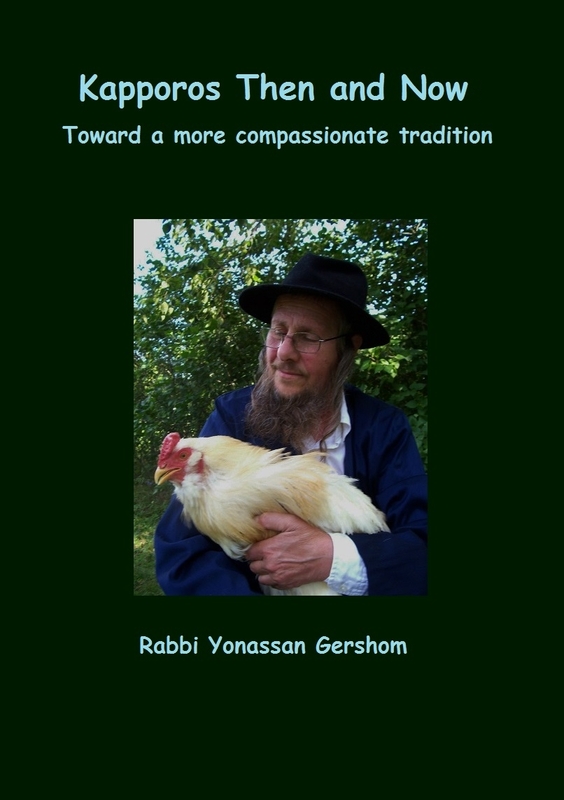 However, this matter must be clarified by Torah scholars who are knowledgeable and familiar with raising animals and the laws of shechita (ritual slaughtering), [to be sure he is not referring to a mistaken understanding of the shechita itself, ed.]. But someone who is not familiar with raising animals lacks the criterion required to determine what exactly excessive cruelty is." 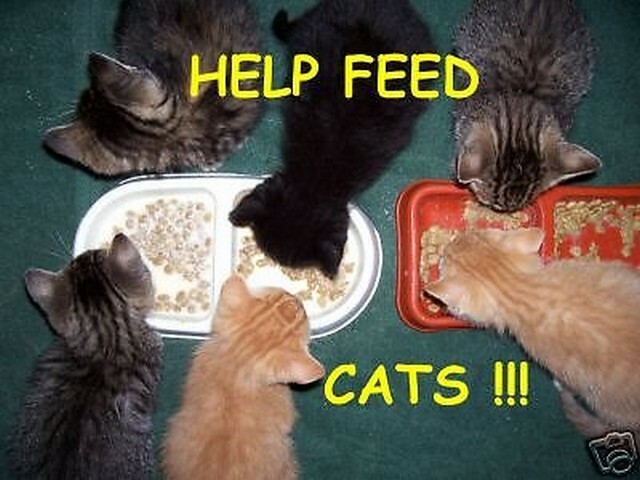 OK, I can go along with that -- in any type of decision-making, it is important to consult with experts. And it is true that some people define kosher slaughter itself as cruelty. (We should note here that even PETA has affirmed that, when done properly, it is humane.) But what about the conditions on the farm before slaughter? Or the conditions under which animals are transported to the slaughterhouse? Who, in his opinion, are the experts to determine whether these things are cruel? He defines them as "Torah scholars who are knowledgeable with raising animals and the laws of shechita [kosher slaughtering.]" That narrows it down to his own circle of colleagues. Given this definition, he apparently puts no trust whatsoever in secular animal scientists who might have valid opinions about what does or does not constitute cruelty, since they are not Torah scholars. Forget about consulting animal behavioral scientists like Temple Grandin (who, by the way, has upheld kosher slaughter -- but not the often inhumane conditions prior to it.) And since experts in shechita are most likely meat eaters who are connected to the kosher meat industry in one way or another, this becomes a case of the fox guarding the henhouse. "And certainly, animal rights activists should not be relied on in this matter, seeing as they are exactly the ones to whom the argument of morality is addressed, for they have confused and obscured the boundaries of morality, turning an act of divrei chassidut (an additional measure of piety i.e. vegetarianism) into an absolute requirement, and in consequence, come to despise the foundations of morality, and offend their friends who do eat meat. And thus, their practice of vegetarianism has no sensitivity to it whatsoever, but rather, arrogance and wickedness." So now we know that this really is an attack on the vegetarian movement and not just my own paranoia. He repeats his allegations from his first article, namely, his belief that teaching vegetarianism leads people to "despise the foundations of morality." What he apparently means by that is that it is "moral" to be doing tikkun olam by eating meat, and "immoral" to refuse to eat meat. Nowhere does he discuss other ways that one might help with repairing the universe. Nor does he say how he would react to a vegetarian activist who is also a Torah scholar and who knows about raising animals. Presumably the supposed "arrogance and wickedness" of such a person would, in Rabbi Melamed's mind, overrule any expertise he might have. Or he would probably rely on the principle of going with the majority -- who, in his circles, would be meat-eaters. Either way, vegetarians have no voice, period. Be a vegetarian -- but shut up about it? It comes as no surprise to me that a Haredi rabbi would discount the opinions of anyone who is not also a Haredi rabbi. This happens all the time. But what really sticks out here is how he feels vegetarian activists "offend their friends who do eat meat" and therefore, in his eyes, their vegetarianism "has no sensitivity whatsoever" but rather is full of "arrogance, wickedness." I find myself wondering if this whole diatribe might have been triggered by some vegetarian guest who came out of the closet and "offended" Rabbi Melamed at the Sabbath table by not eating the meat. He certainly does seem to have a lot of emotional energy invested in the issue. It may well be true that standing up for a cause -- any cause -- might "offend" your friends and neighbors. That is the nature of protest. Segregationists in the American South were so "offended" by the Civil Rights movement in the 1950s and 60s that they beat up, jailed, and sometimes even lynched the protesters. But in the long run, the Civil Rights activists were proven right, even if they were at first in the minority. Being in the majority does not always mean you are on the right side. Yes, it is true that some segments of the vegetarian movement do act in self-righteous and arrogant ways. In fact, I myself have sometimes been offended by the more extreme elements in the movement, as well as blatant ignorance about Jews and Judaism. (Read more...) A great deal of my activist energy lately has gone into educating gentiles about Jews -- and not just the vegetarians, either. But this does not invalidate the movement itself. As they say, ignorance is curable. Unfortunately, it is the extremists who always get the media coverage. Then the whole movement is judged by the actions of a few. But this is the case with just about any movement you can name. Every group has its extremists. [One of whom is Rabbi Melamed himself for his own political cause -- more on that below.] But does that mean we should never speak out against animal cruelty because it might offend somebody? Does that mean we should all just shut up and sit on our hands and say nothing? Isn't that what people did during the Holocaust? Remember all those "good Germans" who did not speak out against cruelty toward Jews for fear of offending their neighbors -- or worse? 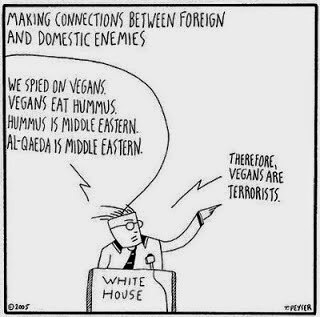 Linking vegetarianism with terrorism -- OY VEY! "Here in Israel, quite a few vegetarian activists support the terrorist organizations of the P.L.O. and Hamas, while at the same time, claiming that the settlers are the biggest culprits, hindering peace of the world. Incidentally, this type of evil is the most serious and dangerous, because it wraps itself in the guise of righteousness. In the same way that some of the greatest villains in history took pride in their compassion for animals." Here he takes of the velvet gloves and swings with both fists. Read that paragraph again. Rabbi Melamed is claiming that teaching vegetarianism will lead to people to support terrorism! He really believes this! A patently absurd assumption that turns psychology on its head. Kindness to animals does not lead to violence towards humans. The opposite is true: cruelty to animals leads to cruelty toward humans. One of the first signs of a developing psychopath is a tendency toward torturing animals. Part of the initiation into Hitler's Death's Head SS squads was to be given a dog to raise and train, then be ordered to shoot it. The purpose being, to teach the young soldiers to follow orders and have no compassion whatsoever, nor even for their friends. It was not kindness to the dogs that hardened their hearts; it was the act of betraying those dogs in order to be accepted into the group. The same kind of callous behavior can be seen in gang initiations today. Hitler was NOT a vegetarian! No doubt Rabbi Melamed would counter with the claim that Adolf Hitler was a vegetarian. Hitler is most likely one of those "greatest villains in history" that his article refers to. The rabbi apparently believes in the classical example of false logic (I actually saw this in a math book once): "Hitler was evil. Hitler was a vegetarian. Therefore all vegetarians are evil." But, false logic aside, Hitler was neither a vegetarian nor an animal rights activist. Although he sometimes refrained from eating meat because of problems with flatulence, he was also fond of liver dumplings, sausage, and roast pigeon. When he came to power, he outlawed all the vegetarian organizations in the Reich. Film footage of Hitler and his dog show the dog cowering in fear. And Hitler absolutely hated cats -- probably because you can't bully them around the way you can a dog. When deciding how he would commit suicide if captured, he tested the cyanide on his own dog first. So he was hardly a man who had compassion for animals, not even his own pets. Yet this urban legend about Hitler's supposed vegetarianism continues to circulate, sucking in gullible people like Rabbi Melamed. In fact, I'm willing to bet that the vast majority of terrorists eat meat. I certainly have not heard of any Al Qaeda videos advocating vegetarianism! True, there are some vegetarians -- as well as many, many avid meat-eaters -- who advocate negotiating with the Palestinians for a two-state solution to the conflict. And since Hamas and the PLO are now the elected governments in the West Bank and Gaza, any treaty signed would have to include them, whether you consider them terrorists or not. As Moshe Dayan said decades ago, you do not make peace by talking to your friends. You have to talk with your enemies. And you have to be willing to hear both sides. There are many cases in history where the bitterest of enemies sat down and made peace. And most of them were carnivores. This I believe, is the rabbi's true reason for attacking the vegetarian movement: he hates the very idea a Palestinian state, and by extension he opposes anybody -- vegetarian or not -- who advocates a two-state solution. As I explained in my previous article, Rabbi Melamed is a disciple of the late Rabbi Zvi Yehuda Kook, founder of the Gush Emunim settlement movement in Israel. Although Gush Emunim as a political party is now defunct, their philosophy lives on in the settler movement itself. They believe that the Jews have a God-given right to "greater Israel," that all Arabs are evil and out to kill the Jews, and that Israel should not give back one single inch of the land captured in the 1967 war. Anybody who disagrees with this extreme stance is labeled a heretic and a traitor. Or worse. Rabbi Melamed is certainly entitled to his political opinions. But scapegoating the vegetarian movement makes no logical sense. In his mind, cause and effect have become strangely warped. He seems to think that people become vegetarians, then go off and join "terrorist" groups. But this rarely happens in the real world. Most of the time, people first become involved in various political and peace movements (whether they are "terrorists" is beyond the scope of this article) and only later do they begin to develop any sensitivity to animals -- if at all. To claim that vegetarianism leads to terrorism is simply not true. 2005 cartoon lampooning "Homeland Security"
Thank you for your thoughtful commentary on Rabbi Melamed's misguided and misleading article. It would be wonderful if you would submit your piece to the publication that featured his article. Thank you, Rabbi Gershom, for being the voice of reason! I doubt they would publish it. It's a right-wing pub and he's one of their regulars. But I'm pretty sure his followers do read my blog, because a lot of the cyber-bullying I have endured lately has centered on vegetarianism. However, this controversy does indicate WHY I keep saying that vegetarian activists need to learn to dialogue respectfully within the worldview of Orthodox Jews (Melamed is not Hasidic, he is Haredi) if any impact is to be made. Yelling "meat is murder!" and other epithets only feeds into the cause of people like Rabbi Melamed. For DECADES -- since the 1980s at least -- I've been saying that understanding the kabbalistic view of the universe was essential to dialoguing with Hasidim and Haredim. But nobody was listening, they were too anti-religious to hear me. Even Richard Schwartz, in the first edition of his book, dismissed it as superstition. In fact, that is how we met. I wrote him a rather scathing in-your-face letter correcting his stance -- and later helped write the "Holy Sparks" sections in the next two editions. From that we became friends and colleagues. And this is why we included the dialogue on "Holy Sparks" in his latest book, "Who stole my Religion?" But even today, there are people -- especially among vegans -- who write it off as nonsense or worse. So I remain a lone voice in the wilderness, getting shot from both sides. Sigh. Attn Rabbi Yonassan Gershom, I hope you read this message. I wanted to talk to you about a project that we could create, establish a Shtetl-Kibbutz to Breslovers Jews, a vegetarian peaceful community, where to follow the teachings of Rebbe Nachman and your spiritual advice. Just as the Amish or Mennonites have their own communities, create our own community in a country of the Sahel, near rivers, such as the Senegal or Niger rivers, where we can live in peace and self-sufficiency. 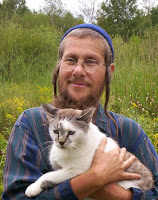 It may seem a utopian project, but can be realized, unite all the Breslovers Jews those who believe in animal rights. Daniel Meir: I wish you much blessing for such a project. I once had such a dream but it never materialized, due in great part to my own personality. I am not cut out to be a leader or even a communal-living person -- see the entries under "autism" on this blog. I am just a nerd who writes well but who is hard to live with in person. But perhaps you will succeed where I could not. Peace & blessings. RE: Al Qaeda and vegetarianism, see http://www.dnaindia.com/india/report-jailed-al-qaeda-man-refuses-vegetarian-food-1338279 (in a jail in India). He demanded "two kg of mutton and one kg of chicken daily" -- that's a lot of meat! (approximately a pound of mutton and half a pound of chicken.) Of course this is only one guy, but still... A search for "Al Qaeda and vegetarianism" brought up several anti-vegetarian sites attempting to link vegetarians with supproting terrorists (other than rabbi Melamed) but nothing from terrorists advocating meatless diets. For an interesting (if rather long) article about the rise of anti-vegetarian attitudes in the USA since 9/11, see http://veganbodyproject.blogspot.com/2012/11/vegan-terrorist-rhetoric-of-veganism.html. The gist is, that hamburgers and hot dogs were touted as All-American "patriotic" foods and vegetarian foods somehow foreign. Remember George W. Bush and "Freedom fries?"